The DLG „Deutsche Landwirtschafts-Gesellschaft“ (German Agricultural Society) was founded in 1885 and is with 25.000 members one of the leading organisations in the agricultural and food industry. DLG as independent and neutral organisation is the platform for scientifical and technical progress. 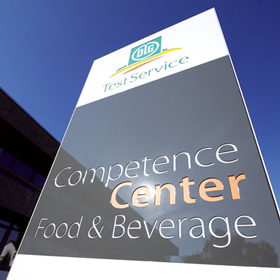 DLG TestService GmbH is one of the leading service providers in quality management and improvement for wines, other beverages, food and closely related product segments (such as logistics, pet food). The portfolio of services includes the segments quality management, quality assurance, audits, certifications, product testing (laboratory, sensorial evaluation, packaging), awards and customer-specific quality projects. The work of the DLG TestService GmbH is based on self-developed scientific and professionally recognised methods as well as on the cooperation with a network of experienced experts from the food and beverage sector.